Japan has been a cornerstone of our global presence since the very beginning. It was the home of our first international office 19 years ago, just a year after Salesforce was founded in San Francisco. Our Tokyo office started with three employees and has grown to more than 1,500 employees. And as we’ve grown, so has our impact on the community. Employees in Japan have volunteered more than 140,000 hours to local nonprofits and education groups including CANVAS, Scout Association of Japan, Houkago NPO Afterschool. This announcement comes on the heels of Salesforce being awarded the distinction of the #1 Great Place to Work in Japan by Great Place to WorkⓇ Institute Japan. As part of today’s news, we are also committing to adding 2,000 new jobs in Japan over the next five years, more than doubling our employee base in the region to further support customers in Japan and Korea. “Salesforce Tower Tokyo” will be located at the Nippon Life Marunouchi Garden Tower in the heart of the vibrant Marunouchi neighborhood, where we’ve leased all office space in the mixed-use building. Connected to the Tower is direct access to public transit and right on our doorstep is one of Japan’s most iconic landmarks, the Imperial Palace and Gardens. True to our global design philosophy, the building will include our Ohana Design standard that reflects inspiration from nature, includes employee wellness areas, has natural light showcasing sweeping views, social lounges, mindfulness rooms, and a wide range of spaces to empower employees to do the best work of their lives. Our worldwide Salesforce Towers include Ohana Floors, which are usually the top floors with the best views and are designed as flexible, open spaces that all employees, customers, and partners can enjoy. 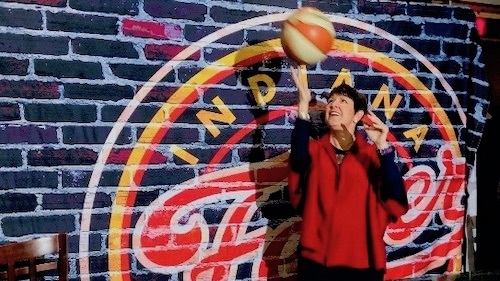 On weeknights and weekends, local nonprofits and education groups may use the space for events at no cost. Today, we have Ohana Floors open in San Francisco and Indianapolis, with more on the way in New York, London, Chicago, Atlanta, Dublin, and Paris. In the last 19 years, Salesforce Japan has invested in startups in the Salesforce ecosystem, supported learning through Trailhead, and giving back to the community. We already know how the Fourth Industrial Revolution transforms how companies connect with their customers. Specific to Japan, challenges around an aging population, rising social welfare expenditure, industrial efficiencies, and productivity threatens economic growth. To help counteract these challenges, Salesforce supports the World Economic Forum Centre for the Fourth Industrial Revolution which has opened the Japan Center in June 2018. In addition, Salesforce Ventures, our company's global corporate investment group, also has invested in over 40 companies in Japan since 2011 to support Japanese startup companies. These companies are focused on investing in innovation and driving customer success. 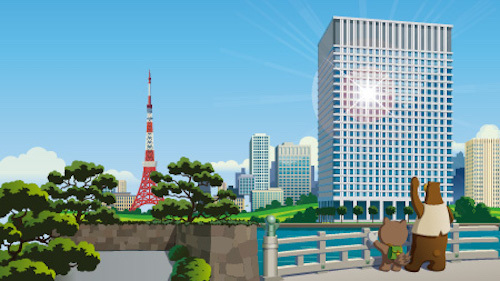 In December 2018, Salesforce Ventures, launched the Japan Trailblazer Fund, a new $100 million fund to empower Japanese startups in the Salesforce ecosystem. As part of this fund, Salesforce will provide additional funding and support to Japanese startups delivering unique capabilities to Salesforce customers. There is incredible innovation in Japan today, and the Japan Trailblazer Fund represents our continued commitment to startup growth and customer success within the region. 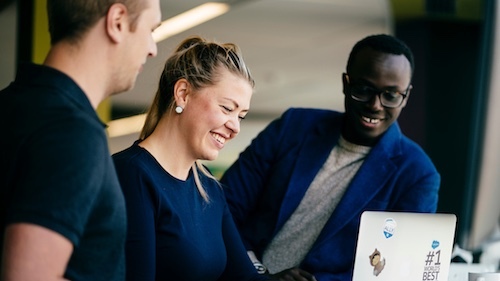 At Salesforce, we believe anyone can be a Trailblazer — developers, administrators, sales leaders, marketers, CEOs, and more. A Trailblazer is a pioneer, innovator, and lifelong learner, driving change within their organization by transforming the customer experience through Salesforce. In Japan alone, our local Trailblazer Community has completed over five hundred thousand badges in Trailhead, our free online learning platform where they can learn new skills needed for success in the Fourth Industrial Revolution. Core to our values, the community is a key stakeholder in our success. 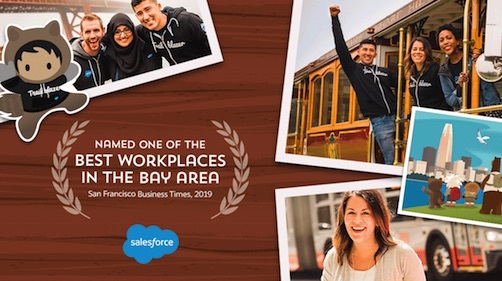 Since Salesforce’s founding, the company has dedicated 1% of employee time, 1% of products, and 1% of resources to improve communities globally. More than 8,500 companies from 100 countries have committed to Pledge 1%, including over 30 companies in Japan. To date, Salesforce technology has powered more than 40,000 nonprofit and higher education institutions; Salesforce.org has provided more than $260 million in grants, and Salesforce employees have logged more than 3.8 million volunteer hours throughout the world. We’re thrilled to build on our commitment to Japan through a new grant to support the Scout Association of Japan to develop the next generation of talent in the country through STEM education. The work doesn’t stop here — our local employees have also committed to volunteer 33,000 hours in 2019 to area nonprofits and schools. We can’t wait to see what we can accomplish together in the future. Interested in taking the next step of your career and joining us on this adventure? We’re hiring across the globe. Learn more.